How many technology devices does your family have? Cell phones, tablets, smart watches, laptops and computers, they are everywhere and for most families technology is an integral part of our daily lives. Children today are growing up surrounded by devices. They use technology extensively for entertainment, communication and education. One of the biggest concerns a modern parent has is how to keep their kids safe online. Beyond that they also need to worry about protecting expensive devices that are small and portable, and keep personal data secure. Many parents find the whole topic of cyber-security so overwhelming they do only the bare minimum, or nothing at all, leaving them, and their family, vulnerable. This terrifies me, which makes this topic so important to me on a personal level. I want families to learn how they can protect themselves, their property, and their private data so they can use technology safely and confidently. Disclosure: I am part of the PTPA Brand Ambassador Program with ESET I received Compensation as part of my affiliation with this group. The opinions on this blog are my own. One of the best new developments I’ve seen on the market is the ability to purchase a single software package that provides you with everything you need as a family to use your technology safely. It used to be you had to buy numerous different softwares, install and manage them each separately, not to mention having to buy for each device. With so many devices in the average household that’s a logistical nightmare for any parent. That’s why I was so excited when I had the opportunity to try ESET Multi-Device Security. Now I have one package and it provides me with everything I need to keep my kids safe, protect my devices, and protect my data. ESET Multi-Device Security does it all and is designed for today’s family. With one product I was able to protect every device we own. Our computers, tablets and phones are all protected. And it is so easy to use, even the most techno-nervous parent can figure it out. Simple installation and setup – It needs to be easy because frankly most parents don’t have the time to manage all the devices in their home and supervise their use. We have enough to deal with and any product I use needs to make my life easier, not harder and more stressful. I loved that the intuitive interface and excellent step-by-step instructions made getting started so easy. Anti-Virus, Firewalls, and Computer Health – These are the basis of your protection. You want to be able to use your devices at home and outside of the home on public or foreign networks, confidently. 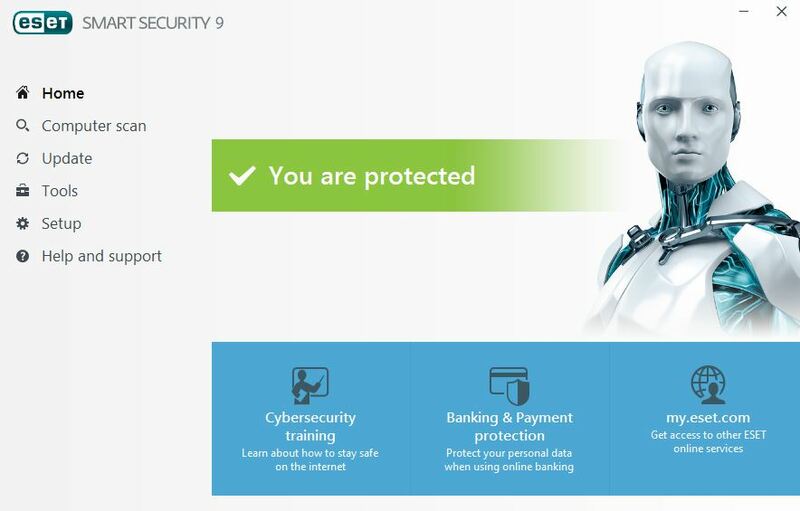 ESET Multi-Device Security protects my computers at home, but also protects my laptop when I’m working at the coffee shop or library, when I’m using my phone on the road, or when my kids take their tablets to an educational session. We are all protected no matter where we go with our devices. We can download with confidence, connect to networks and feel less vulnerable on public wifi. I also loved that it notifies me if my computer has updates that need attention. When I installed it, one of the first things it told me was that my computer had updates downloaded but I needed to restart to finish the update. Keeping up to date with system updates is easy now. 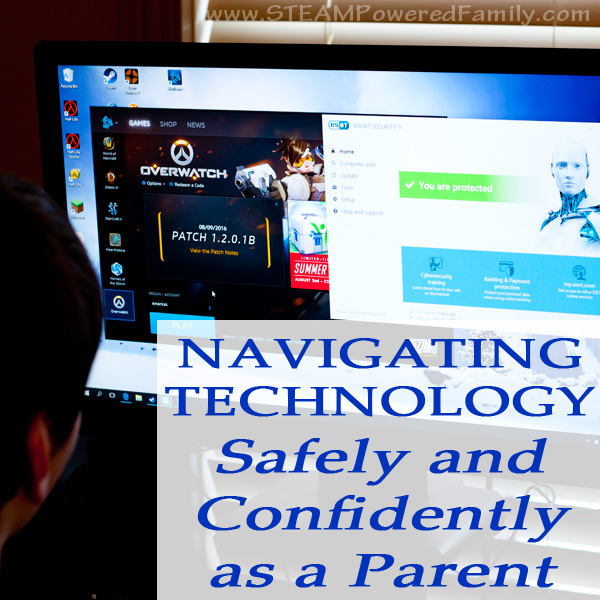 Parental Control – This is a must have for parents. We know there are a lot of places on the Internet we don’t want our children to visit. At home you may be able to supervise usage, but with our children using portable devices outside of the home and with their peers, their chances of visiting questionable sites increases. With Parental Control you can protect your children no matter where they go with their device. As a parent of multiple children, I also really love that I can customize the settings to each of my kids. My youngest needs a lot of protection, he is just learning to read and loves to go into Google and try to search for things with his best guess at spelling. Some of his guesses are way off the mark and result in scary search results! So I love that I can control his access and protect him while he happily practices his newly developing spelling skills. My oldest is much more advanced, and loves to research topics. He has a strong sense of morals and ethics, and I feel he is trustworthy in his judgment of which sites he should visit. For him I need less control, as I am slowly preparing him for a time when I will remove all Parental Controls and trust that I’ve taught him to use his judgment wisely online. With ESET Multi-Device Security I can implement customized restrictions for each member of the family and adjust those settings as they grow and mature. Anti-Theft and Online Security – This one is huge for me. We run a business where we travel to various markets. My cell phone is a critical tool to our business. I use it to manage our online store remotely at all times, ensuring our stock inventory is kept current. It is also our credit card processor at the markets when customers make purchases. My phone is also used extensively in the maintenance of this site. Keeping my phone secure and safe is huge. With ESET Multi-Device Security, if my cell phone goes missing I can use the locater to try and retrieve it, and if that doesn’t work I can remotely “brick it” or wipe the data, so even if my device can’t be retrieved, at least the thief can’t access my personal and professional information. Bricking it, essentially means my phone will become useless to the thief. Similarly, I love that I can protect my children’s devices in the same way as they get older and rely on laptops for more and more of their schoolwork. The idea of them taking their computers to school, where thefts do happen, worries me a lot. At least with ESET Multi-Device Security we have some level of protection and could possibly even catch the culprits. Gamer Mode – Minecraft, G-Mod, WOW and now Overwatch are all popular in this house. I was so excited to discover that ESET Multi-Device Security has a built in Gamer Mode! It’s like the people at ESET are totally my people. They know exactly how our family works and playing these games is a part of our lives. If you love to watch movies or Netflix on your devices, you are going to love this feature too. It automatically turns on whenever it detects you are using a full screen application (such as a computer game or streaming video). Once enabled it turns off windows pop up notifications, minimizes intrusions and limits CPU usage by other apps so your device can operate at optimum performance. Not only does this allow for a much better experience while gaming and watching videos, it means I won’t have my kids freaking out because something popped up in the middle of their Minecraft build and has locked everything up on them! This sanity saver is huge! And it requires nothing from me to set up, it is automatically built into the ESET Multi-Device Security package. It turns on automically when needed, and turns off when it is no longer needed, totally seamless and easy. I admit, I totally geeked out on this feature! Cyber-security is a term that scares a lot of people, but computer safety doesn’t need to be hard or scary. Products like ESET Multi-Device Security make it easy. You can confidently protect your devices, your personal data, and most importantly keep your kids safe online. The best part is that it won’t break the bank and is so easy to install and set up. This year as you head back to school and you begin your STEM and STEAM activities using your beloved technology, I hope these tips and ESET Multi-Device Security help you stay protected and confident. Not all parenting moments are easy, but hopefully technology will be a little easier to navigate this year. Good article, this is an area that it easy to ignore as there is so much info out there. Well done. Too often we forget or ignore this. My 4-yr old knows how to work a tablet better than I do. I keep an eye on what she is doing, but there are times where she navigates by herself. Definitely need to filter some of the content available.